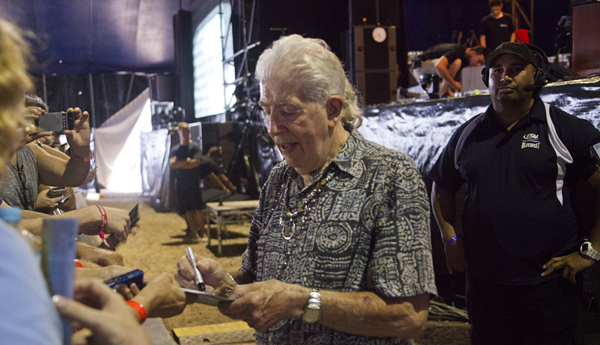 Yesterday evening we saw the Grandfather of the British Blues movement, the one and only John Mayall. 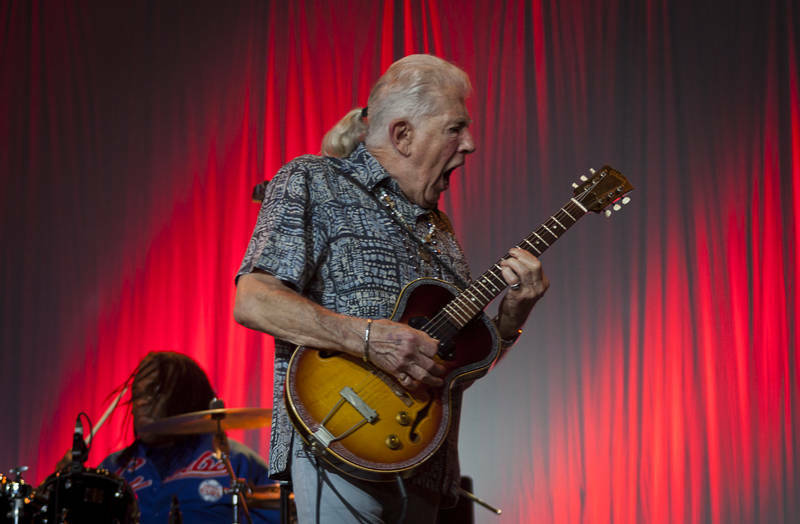 He put on an outstanding performance with his latest group of american bluesmen at the 2015 Byron Bay Bluesfest. He has launched the careers of Eric Clapton, Fleetwood Mac and many more blues stalwarts. During the performance on the Crossroads stage he played keyboard, guitar, harmonica and then found time to sign autographs and chat to the audience in the front row. It is hard to believe he is 81 !